Why would I need self storage in Beaverton, OR? There are a variety of reasons why you might need self-storage in Beaverton, OR. How much is a storage unit in Beaverton, OR? The cheapest storage unit in Beaverton, OR is $37.00 per month. What size storage units do you have available in Beaverton, OR? In Beaverton, OR we have sizes that range from 4'x5' to 20'x20' to suit your storage needs. How much is it for a 4'x5' storage unit in Beaverton, OR? The cheapest 4'x5' storage unit in Beaverton, OR is $50.00 per month. 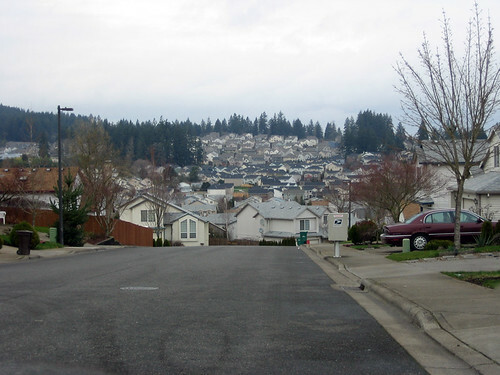 Beaverton is a flourishing city in northwestern Oregon, about 7 miles from the major city of Portland. As one of the state's largest cities, Beaverton functions as a major economic center for the surrounding Washington County, hosting a number of large businesses including Nike. An extensive parks system, scenic surroundings and plenty of local amenities are among the features that have earned Beaverton Money magazine as one of the best places in America to live. The first inhabits of the area that's now Beaverton were Native Americans, followed by pioneers who arrived in the 1790s. Permanent settlements weren't established until the 1840s, with the first official land claim made by Lawrence Hall in 1847. Agriculture, wood products and logging were the most important industries in the Oregon area during this time and supported the community for many decades. In the 20th century, the town's economy diversified, welcoming auto dealerships, movie studios and manufacturing facilities. Beaverton has welcomed a steady stream of new residents for the past several decades, attracting people with its low crime rates, convenient location and plentiful amenities. As a Beaverton resident, you'll enjoy over 100 parks, 30 miles of hiking trails and a number of entertainment and cultural options. There are dozens of churches and houses of worship welcoming a variety of faiths. The city also features the largest shopping district west of Greater Portland. Ski slopes and the beach are both within driving distance, providing easy access to recreational activities during every season. You'll also find a variety of job options, spanning many industries, in Beaverton. Major employers include the Beaverton School District, Nike, Comcast Cable, Providence Health Systems and Stream Global Services. Beaverton School District oversees the public schools in the city. Special programs include OPTION schools as well as highly-rated charter school campuses. Private schools in the area include several parochial schools. Utilities: The primary energy providers in Beaverton are NW Natural Gas and Portland General Electric (PGE). Most homes in Beaverton receive water services from the city, but the Raleigh Water District, Tualatin Valley Water District and West Slope Water District also provide water to certain areas. Garbage and Recycling: Trash and recycling disposal and curbside composting all are provided in Beaverton. In addition, the Oregon Deposit Bill pays 10 cents per acceptable bottle, which promotes recycling efforts. Transportation: TriMet is the transit network serving most of Greater Portland. There's also a light rail line providing direct service between Beaverton and Portland International Airport. Like many communities in the Portland area, Beaverton has higher-than-average housing costs. As it's becoming an increasingly popular suburb of Portland, the city's home values have continued to increase. Still, the variety of housing options should enable you to find something that fits your budget. Our lowest priced units in Beaverton, OR average $50.17 per month. 248 people have reserved units in Beaverton, OR in the past 30 days. There are 6 locations within Beaverton, OR's city limits.